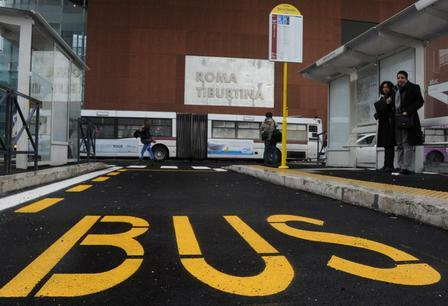 Roma Tiburtina railway station offers different ATAC bus lines that connect Roma Tiburtina with different areas of the city. Working/non-working days: bus 71, bus 111, bus 135, bus 409, bus 490, bus 492, bus 495, bus 649. Overnight service: bus n17, bus n23. Working days only: bus 168, bus 211, bus 491. Saturday and holiday only: bus C3. Working/non-working days: bus 163, bus 309, bus 545 ( it stops only for Piazzale Verano direction). Saturday and holiday only: bus C2. It is possible to calculate the route of each line here.